Two more Sussex healths learned from Lucy Broadwood’s English County Songs. 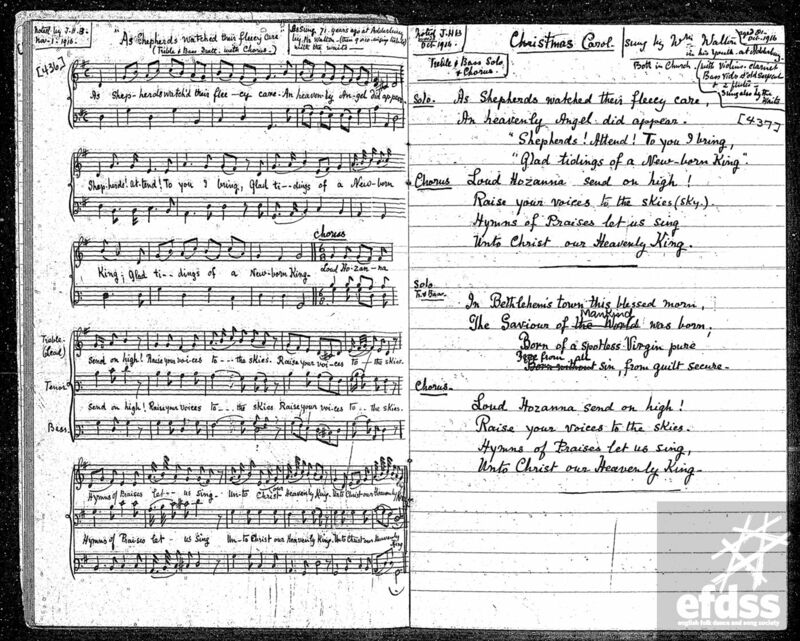 Miss Broadwood didn’t have to travel far to collect these songs: the singer, John Burberry, was a retired gamekeeper, who had worked on the Broadwood family estates at Lyne in Sussex. A carter is, of course, “One who drives a cart” (OED). 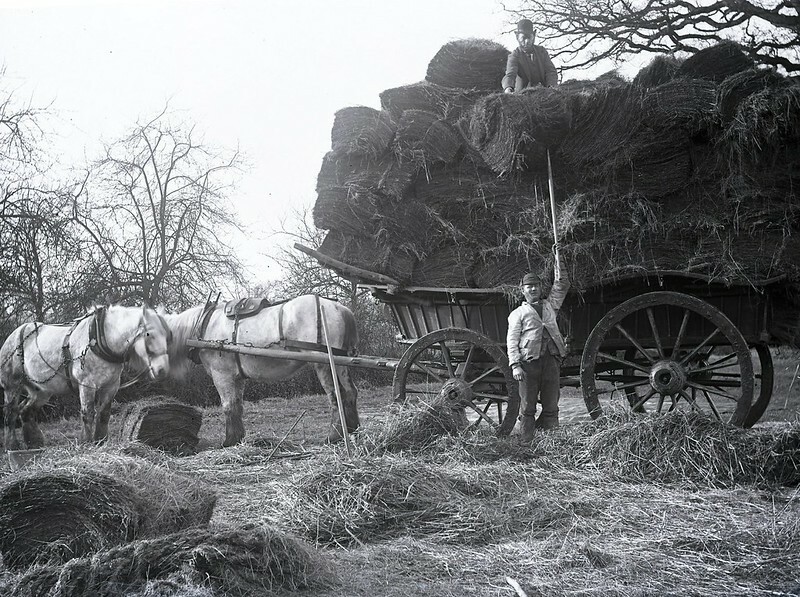 A wagon is probably not the same as a cart, but I really like this harvest-time photograph from East Sussex County Libraries’ Historical Photos collection on Flickr. A collection well worth checking out if you like old photos like this. Hay wagon c.1890 Part of the George Woods collection. Image scanned from the photographer’s original glass plate negative, located at Hastings Library. From East Sussex County Council Libraries Historical Photos collection on Flickr. Copyright East Sussex County Council. 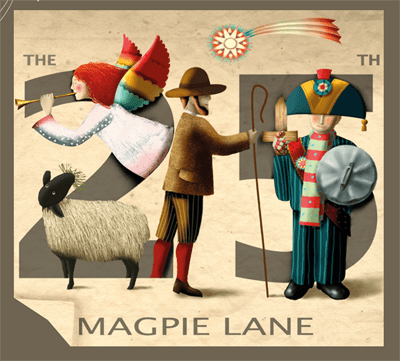 We recorded these with Magpie Lane (as separate items) on our second album Speed the Plough. Then a few years ago we found that if we took one health down a bit, and the other up a bit, they worked pretty well together. 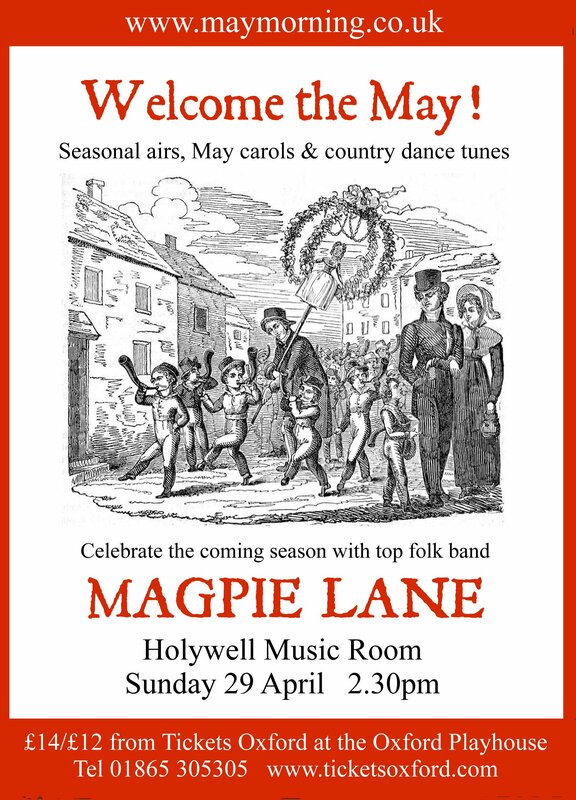 At our 20th birthday concert at the Holywell Music Room last year, we had at least twenty people on stage singing this, including Jackie Oates, Chris Leslie, John Spiers, Paul Sartin, Benji Kirkpatrick, Hilary James and Simon Mayor. That was really special (actually it was even better at the run-through in the afternoon – the acoustics in the Holywell are really good, but they’re even better without an audience to soak up any of the sound!). I’d like to share that with you, but have never managed to get my hands on the recordings. Grrr. 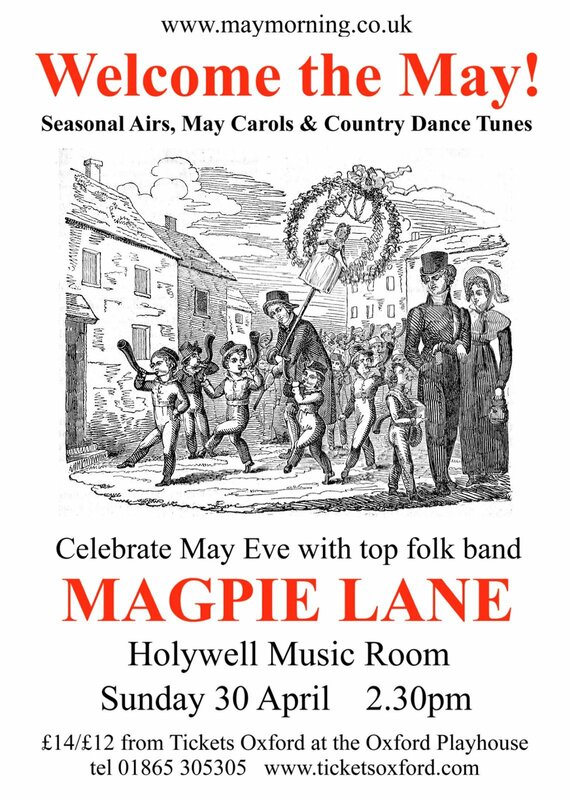 Anyway, here’s a live recording of the normal five-person band line-up, made last autumn in Bampton Church. Recorded Saturday 21st September 2013, St Mary’s Church, Bampton, Oxfordshire.